Feel your happiness soar with the bliss-inducing scent of new Happydisiac Man. It’s the ultimate way to express your irresistible zest for life! 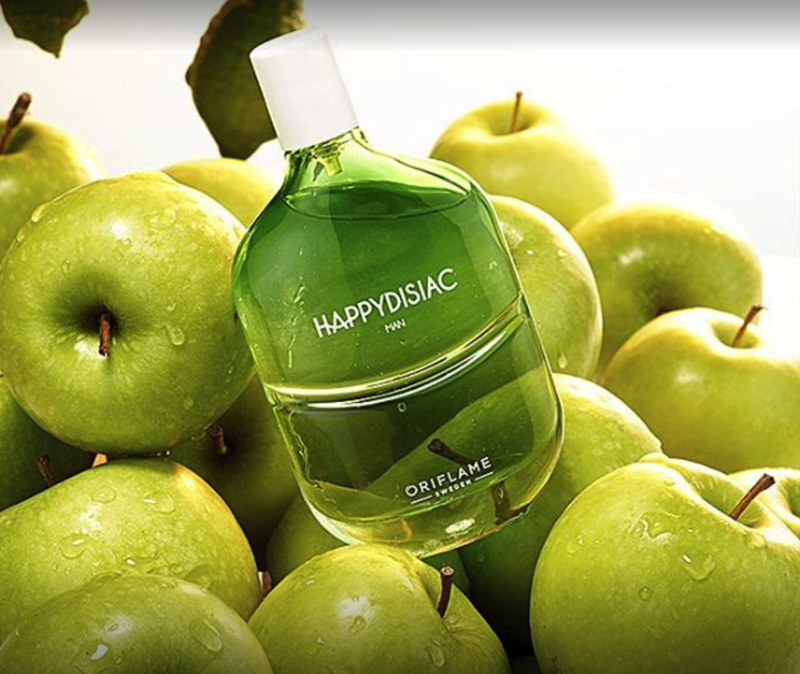 The scent delights with effervescent and optimistic top notes of caviar lime accord for intense freshness, combined with mandarin and juicy green apple. Its masculine, multi-faceted heart features a robust ozonic accord, balanced with coriander seeds and strawberry accord – a combination guaranteed to bring a smile to your face. While the woody drydown of natural cedar wood, precious moss and patchouli brings a refined touch of sensuality to a scent that encapsulates the true spirit of happiness for men. #HAPPY For best results… 1. Spray a little bit of fragrance into the air and walk straight into it. 2. Re-apply when necessary. 3. Adapt your fragrance according to the seasons: a light one in the summer and a stronger one in the winter.